Welcome to the home of jojo Nebuchadnezzar. 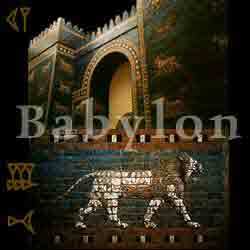 King Nebuchadnezzar II prays to the Babylonian God, Murduk, for guidance. When you click on any of the thumbnail images shown on this page, you will be brought to a site that discusses the underlined material. If you click on Entrance below or at the top of this page, you can view various ancient entrances. 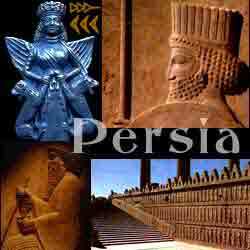 If you click on War Room below or at the top of this page, you will be brought to a page that has links to various battles fought in or around the ancient Near East. 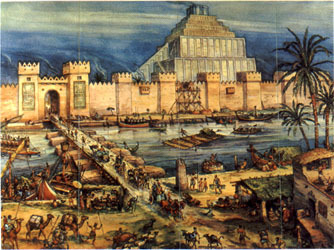 Ancient Babylon is constantly undergoing excavation and reconstruction so be sure to comeback often. 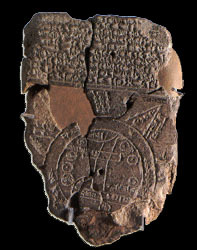 If you would like to email me a message, please click on this line or use the clay tablet and envelope below. 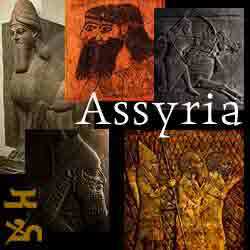 It doesn't have to be in cuneiform.